Horseshoe pass (Bwlch yr Oernant) is a 4 mile climb in North Wales near Wrexham, averaging 5% – climbing 311 metres to finish at 1,200 ft (404m). 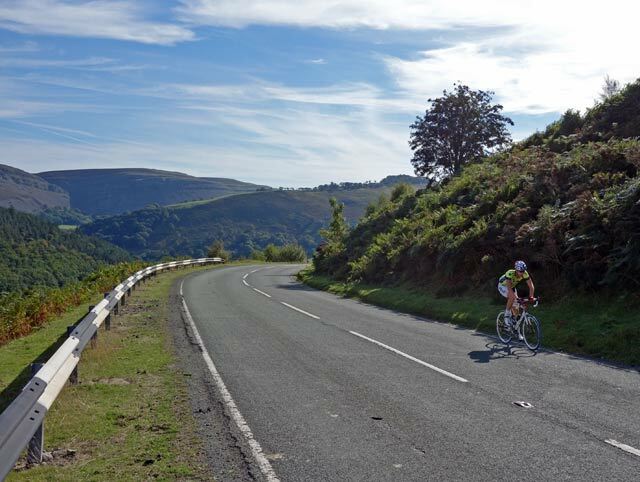 It’s a challenging hill climb, with a few steeper sections of up to 12%. 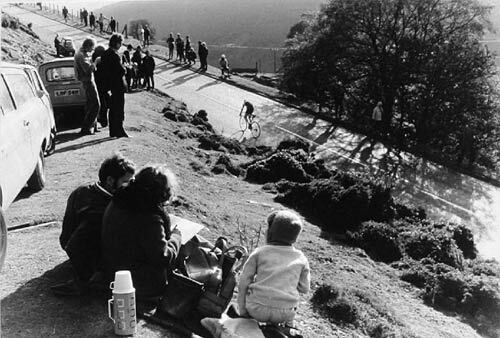 On a good day, it provides a beautiful backdrop for a hill climb. As it name suggests, there is a 180 degree horseshoe curve towards the top. This means that you can see the road snaking up above you as you climb. It also means you’re likely to face a mixture of headwinds and tailwinds on different parts of the climb. I’d been racing the previous day in Otley, and was grateful for a later start. It’s a fair drive from Menston. But, I arrived in decent time and warmed up at the top of the climb, by the popular Ponderosa Cafe. Horseshoe pass and the cafe is also very popular with the motorbiking fraternity. There was no shortage of reviving engines to drown out the relatively quiet whir of the bicycle on the rollers. Often CTT ban rollers near houses because they are too noisy for residents. Motorbikes and the boy racers revving their Ford motor cars must annoy a few local residents. Fortunately, it was a pleasant day. Quite warm, sunny, just a fresh breeze. 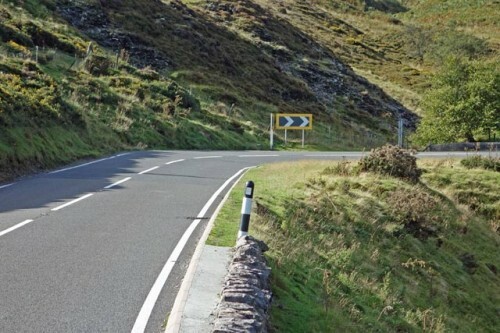 But, I imagine you’re not always greeted with this conditions up on top of horseshoe pass. Even though it was quite mild, I put on leg warmers and a winter jacket for the long descent. It’s quite a fast descent, though there are some sweeping corners so you have to take care. The descent could be quite chilly on the wrong day. 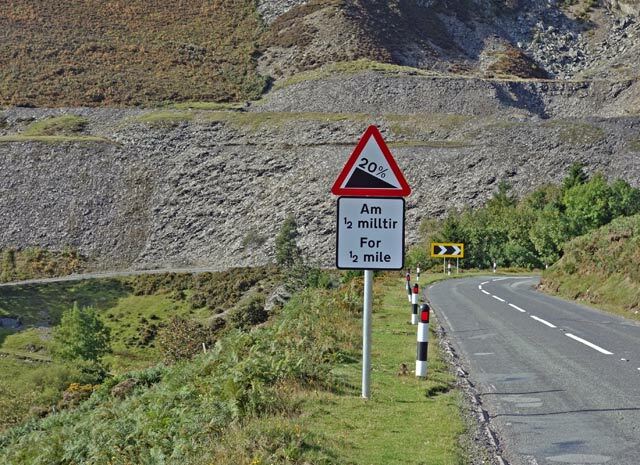 The hill climb course doesn’t start quite at the bottom. It misses out a few metres of climbing, starting just before the Britannia inn on your left, and it finishes before the top. Fairly soon after the start of the climb, there is the steepest section of perhaps 12%. This is within a wooded area so is relatively sheltered from the wind. You want to go as hard as you can without blowing up for the remaining couple of miles. I took most of the climb seated down, only briefly getting out of the saddle for a short 12 % section in the trees. Then it was head down, and try and maintain the pace. After the wooded section the gradient eased off, but here there seemed to be a strong headwind for a considerable straight section. I was relieved to reach the horseshoe and begin the long bend around the ‘horseshoe’. The more you went around, the more the headwind changed into a strong tailwind. The last 0.5km was very fast. A strong tailwind pushing you up the gradient as if it wasn’t there. I finished in perhaps 39*13 and spinning a fast cadence to reach max speed of 25mph. It was almost twice as fast as lower down, and the finish seemed to come into view quicker than I had expected. 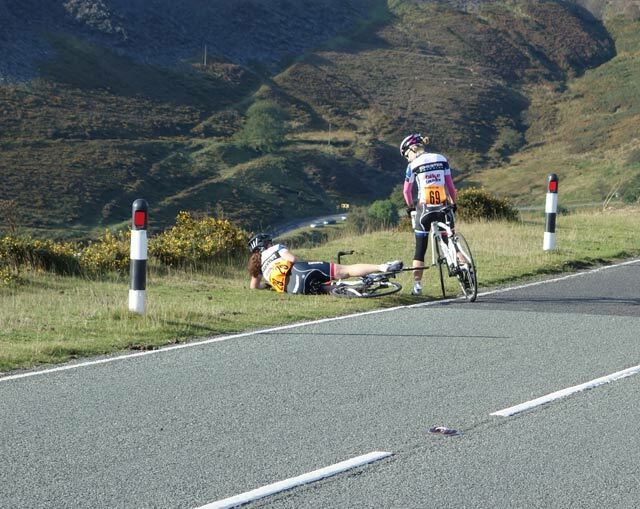 Rider collapsed on the floor after the finish. The proper way to do a hill climb. It meant I had just squeezed into first place. From memory, Richard Handley Rapha Condor JLT was 6 second behind, third was Matt Clinton (9.38). Fourth was James Dobbin (9.47) and fifth was Paul Roby coveryourcar (10.00). Paul was my minute man, and I must admit I half expected to catch him because usually number 9s are the slowest seeds, but I never saw Paul till the top..
At the Ponderosa cafe. Some were even just wearing t-shirts. 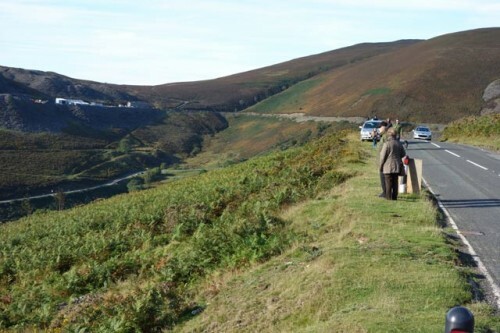 A rare sight for Horseshoe pass in October. After the prize ceremony I went back down horseshoe pass to take some photos and enjoy a more leisurely ascent of the climb. It’s a shame it’s taken so many years to have a go at Horseshoe pass. But, I’m glad I made the journey this year. There are so many rides close to 9 minutes, it would be quite something to go under 9 minutes one day. 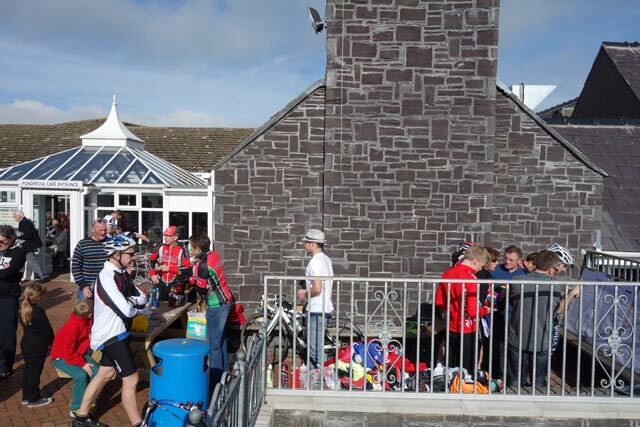 Thanks to event secretary David Williams, Alf Jones Cycles and Fibrax Wrexham RC for putting on great event. It was good to see another full field of 120 riders at a hill climb! 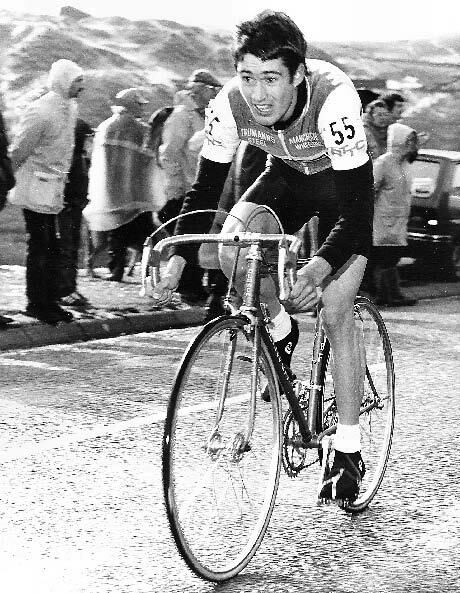 It was also National Championship in 1971 when John Clewarth (Kirby Cycling Club) won his only national hill climb title. In 1972, Clewarth represented GB in team time trial and individual road race. 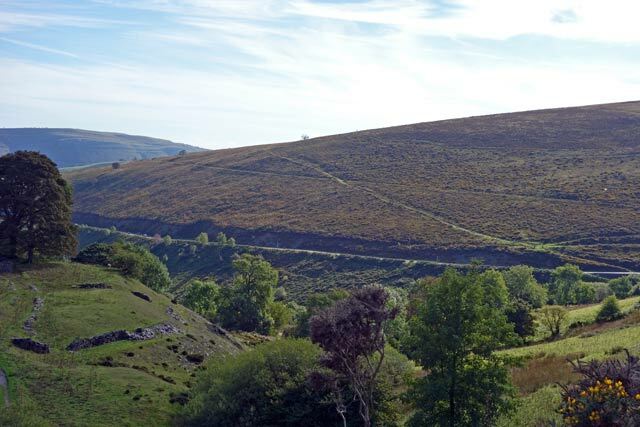 Another classic view of Horseshoe pass from the natural banking above the climb. At the event, Gwyn Lewis presented the current organiser with a book called the ‘A doffers diary’. In this book it states that Gwyn was a first cat roadie, founder member of Corwen Olympic Road club, Founder Member and secretary of the North Wales section British League of racing cyclists, organiser of the Barmouth International Cycling week 1955-59. He was North West of England Hill Climb Champ in 1951 and course record holder, winner of many Welsh stage races, North Wales BAR champ 1953 to 1957. 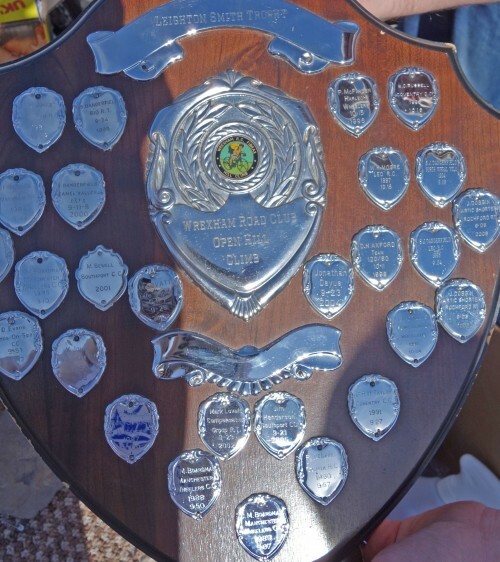 He was Horseshoe pass champion from 1953 to 1957 and record holder with 10 mins 8secs, on a slightly different course but similar to the one we have now. He also raced in the Quaker Oats 1000 mile Amateur tour of Britain in 1954 for North West England team and for Team Wales in 1956. It is no.90 on 100 Greatest Hill climbs. Well done Tejvan, once again you show “class”. Question, how do you aim to finish hill climbs, long ones (2.5 – 4 miles long @ 4 – 7%) and short sharp ones (0.5 – 1.5 miles @ 10 – 15+%). A/ collapse at the top and throw up, B/ slumped exhausted, C/ exhausted but can talk, just, D/ out of breath, but ok, E/ slight sweat, don’t know what the fuss is about. 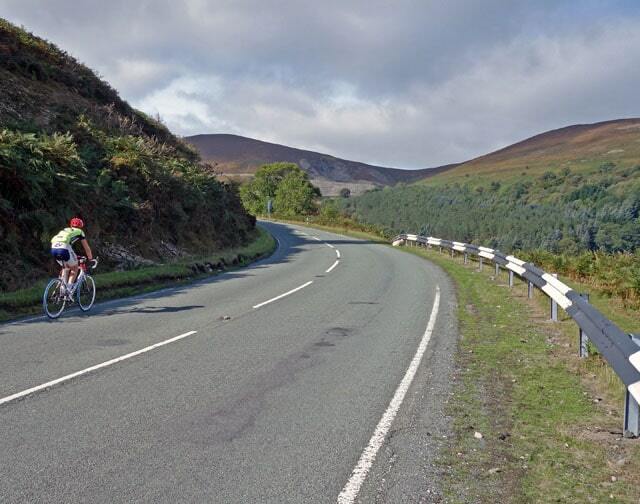 The shorter the hill climb the more possible it is to get closer towards a/b. For Longer climbs, it’s a bit harder. When you’re racing every week, it’s probably bad form to get to A everytime. You tend to try and save that for Nat Champs or the like. 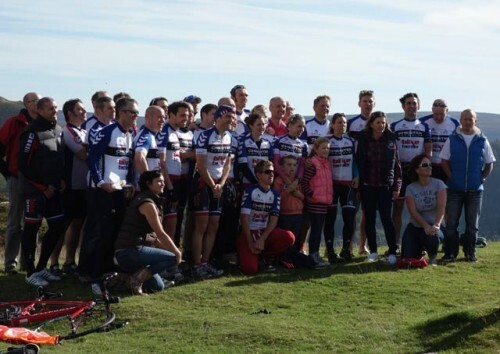 Hi Tejvan – top ride at the weekend…congratulations on the win. You’re right, conditions aren’t always like that. There was snow on the pass in 81 for the nationals when Jeff Williams took the title. Your link just uses the Welsh name for the pass! Thanks for note about Bwlch yr Oernant ! I’ve updated post. Makes sense now!